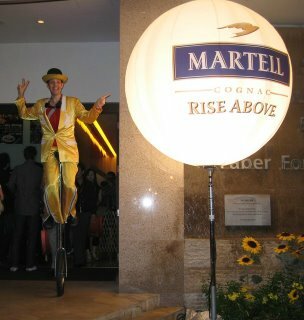 Fun Night at the Martell Party! Fantastic Night! Rise Above! The group of performers The whole night through, these performers performed their best and you can really see true passion oozing out of their pores...Because my performers enjoyed themselves, the guests enjoyed the show too! Danny's Friend works very hard and has fantastic attitude! 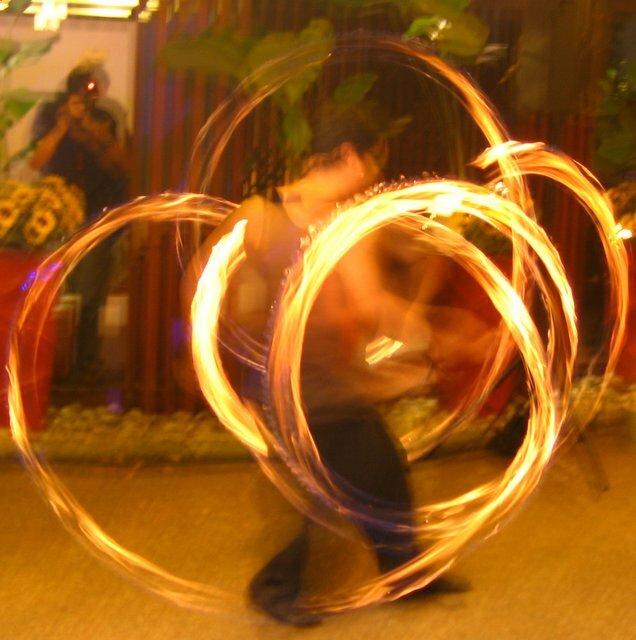 His poi is also fantastic, and he looks like he's really enjoying himself. 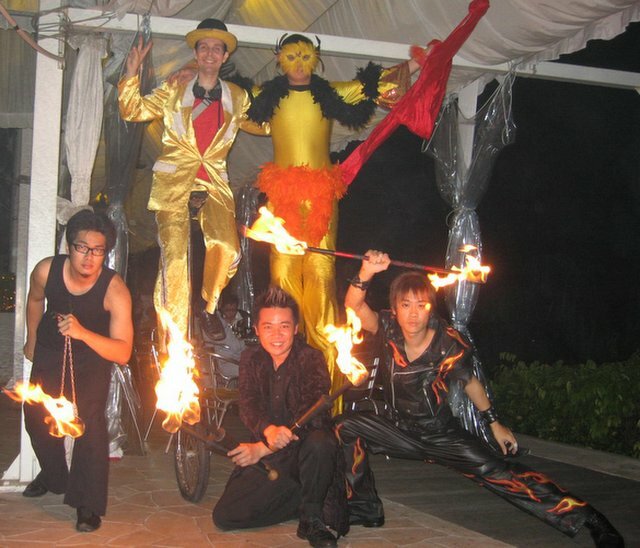 My wonderful stiltwalker, who got molested by all the girls trying to touch his crotch! 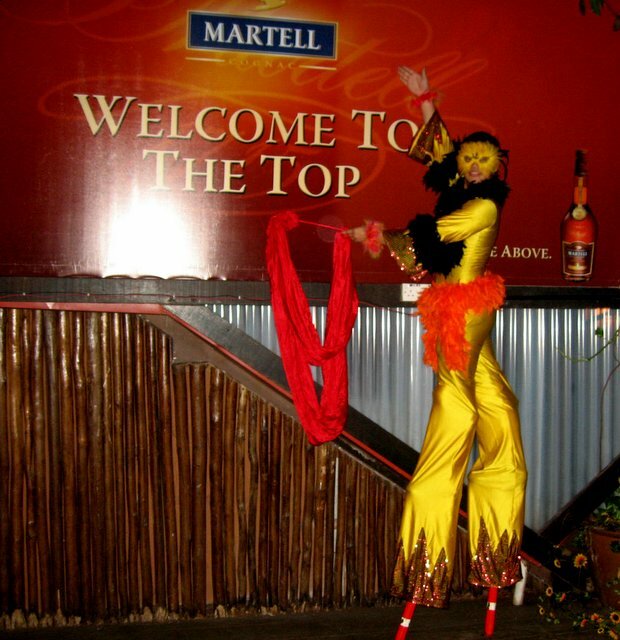 Luckily, he was wearing jeans under the costume, anticipating the antics of the fun, wonderful people, happily drunk on Martell! Ben Matthews who rises above the crowd and is a true professional! He's about to become a daddy in a week's time! Congratualtions, BEN! Will add more photos when I can! 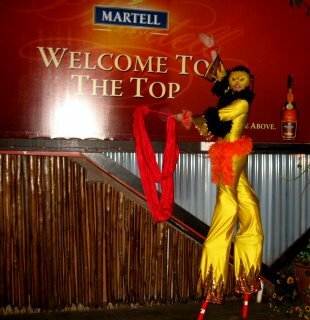 Three Cheers for Martell!